The real estate rental market is seeing a resurgence, albeit subdued, as the US and the world are still struggling to shake off the effects of the last global economic downturn. Though the economy is yet to stabilize completely, those who made wise investment decisions before and during the turbulence, have a reason to celebrate. Investors, however, need to be aware of the various ways to optimize returns on their investments, with “value engineering” being one such avenue – which explains the consistently increasing number of Nationwide multifamily buildings contractors embracing the methodology. Value engineering, as the name suggests, is a scientific approach to identify and eliminate unwanted costs, while meeting the performance and quality requirements of a product, process, procedure, or service. Though cost-reduction is the primary focus of value engineering, other important aspects such as customer perceived quality and performance also play a crucial role in the value equation. It takes into account a thorough assessment of materials, methods, transportation issues, site limitations, planning, organization, costs, and more. In short, it focuses on the value traits of a project, which are deemed most important from a long term perspective. Value engineering in rental properties, such as multifamily housing units, aims at improving the value of the property and attaining the desired quality with the minimum possible investment. Compared to traditional approaches of “cost cutting”, value engineering delivers much greater savings without compromising on any vital aspect. Broadly, value engineering has three driving components – quality, value, and life expectancy. 1. Gathering information, giving an objective to the project and understanding its needs. 2. Identifying elements to address needs. 4. Assigning costs to the alternative solutions. 5. Evaluating all the alternatives with the highest likelihood of success in meeting requirements and their impact on the cost saving aspects. 6. Most importantly, reviewing the structure from the maintenance point of view and going for the products that result in long-term savings. Value engineering techniques take into account the analysis the selection of materials, processes, and equipment, to see whether cost-effective alternatives can achieve the same project objectives. In addition, maximizing value is not just about cost reduction; it seeks optimal solutions that are instrumental in removing unwanted waste and reducing life cycle costs while improving function, quality, and sustainability. 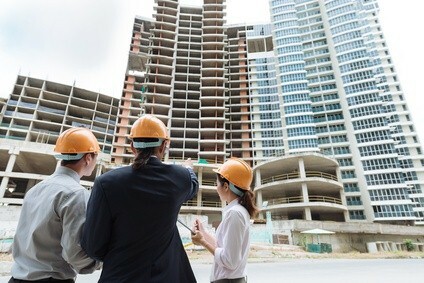 Fast paced assessment, project management, quick scope turns, and intuitive scheduling, are some critical factors investors should look for in prospective nationwide multifamily buildings contractors. To get the most out of value engineering on your renovation project, you need to hire a team of professionals that is competent to work within fixed budgets without compromising on the quality of work. There are many nationwide multifamily buildings contractors present in the market and choosing the right one can be overwhelming. Look into every prospect’s portfolio for that nature of projects executed in the past and the diversity therein, talk to previous clients about their experiences working with the concerned contractor, and if possible, visit their previous project sites. Always choose a contractor that can help you acquire benefits of value engineering that outweigh the investment you make in time and costs. In a volatile economic scenario, leveraging value engineering ensures cost-effective building constructions and renovations, along with maximum value-addition at each phase of the project. The approach not only helps rental property owners save money, but also ensure compliance with global quality standards. To sum it up, a comprehensive value engineered approach ensures optimum utilization of the available budget and resources, unwavering adherence to schedules, and immaculate phasing of all construction prerequisites.